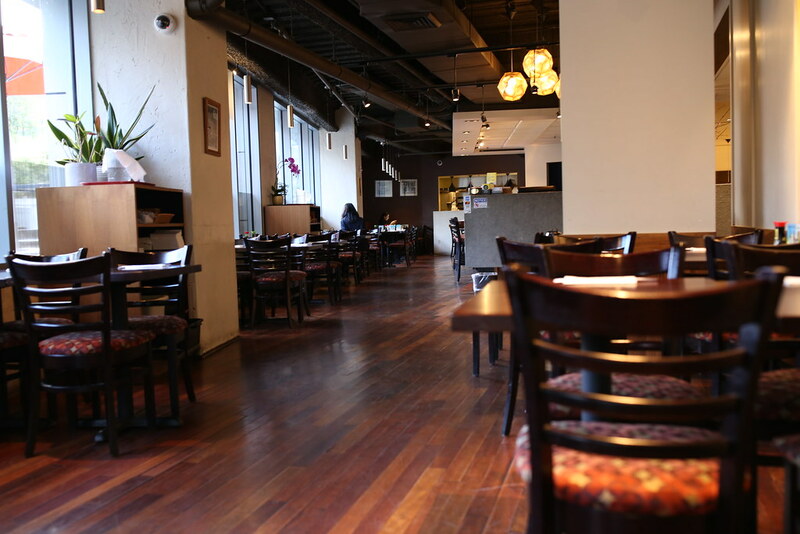 Sanraku is a long-established restaurant founded in 1989, and currently has 3 locations in the SF Bay Area. For this meal, I visited their Metreon location, which is at the center of San Francisco Downtown. It's quite easy and convenient to get there by taking public transportation or uber. Once you enter Metreon, find the dining/food court area. There will be signs that direct you to SANRAKU. I love how the restaurant is on a mezzanine floor, where you are separate from the common food court but you can still see the food court from the upper level. They have lots of daylight from large windows and warming wooden decor. For the appetizer, I was recommended to get their Salmon TarTar Don and Uni Shooter. 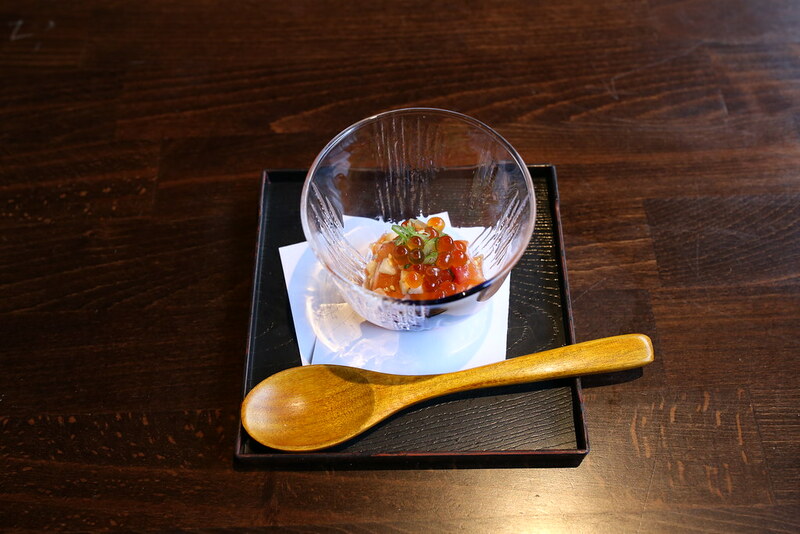 Salmon TarTar Don has dice salmon, peppers, Japanese mountain yam, wasabi pickle, salmon roe over sushi rice. It is always interesting to enjoy a small dish with so many different textures and delicious flavors all at once! 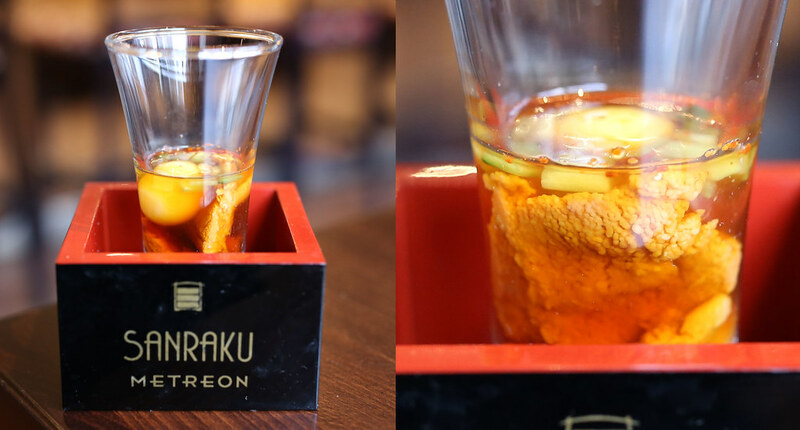 For Uni Shooter, it is a sake shot with uni (sea urchin), raw quail egg, tobiko (flying fish roe), red radish, ponzu, dashi broth, and of course, sake. The red radish brings out the sweetness of sea urchin. The raw quail egg yolk makes this shot creamy and rich! 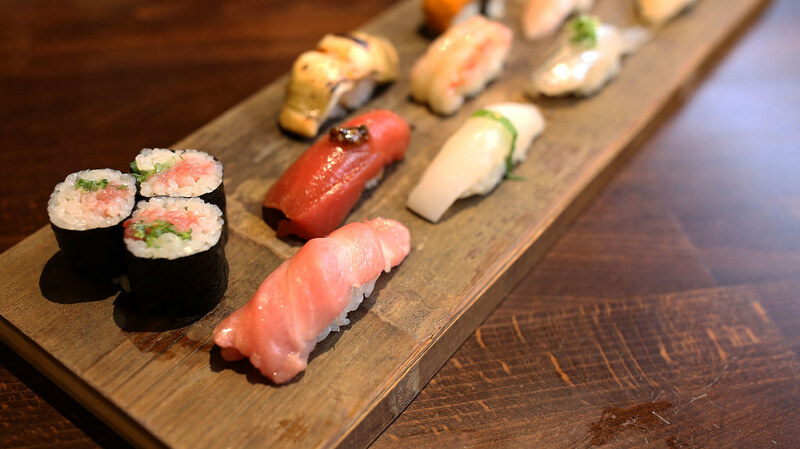 Omakase is a Japanese phrase that means "I'll leave it up to you." 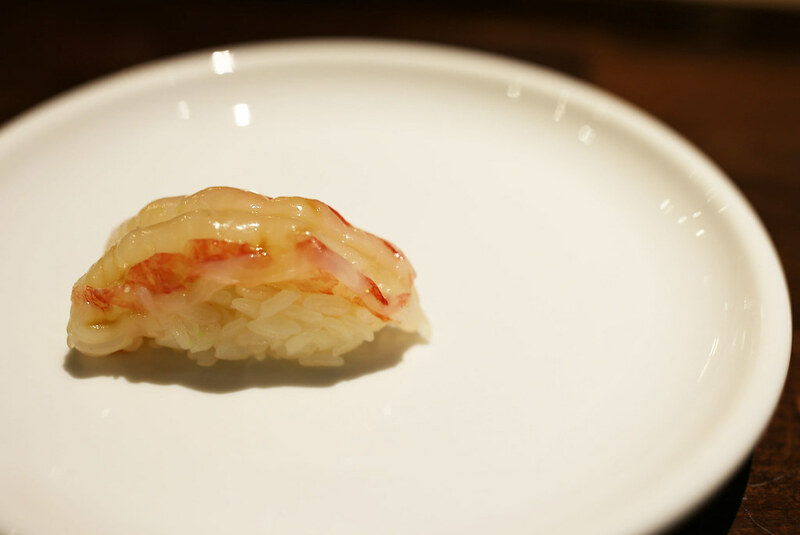 When ordering Omakase, you should let chef knows if you have any allergies or restriction. Then your personal selected sushi set will be ready very soon! 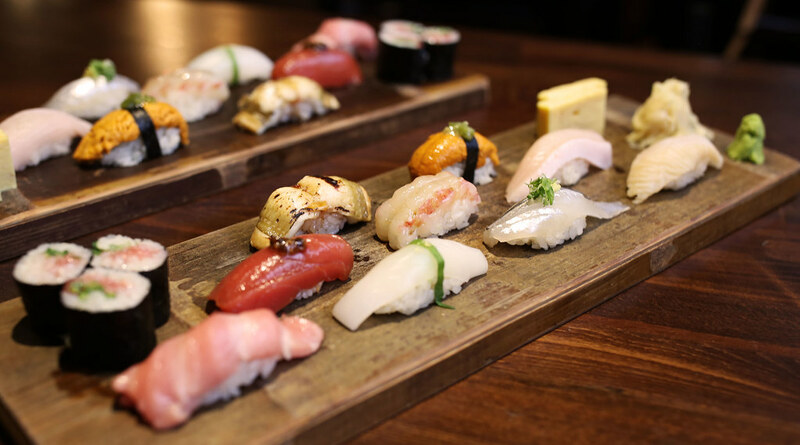 Here, we have a beautiful Omakase with 11 pieces of nigiri, maki, and Tamagoyaki egg omelet. It is always a good idea to eat sushi from light to heavy so that one will not over-powering another. 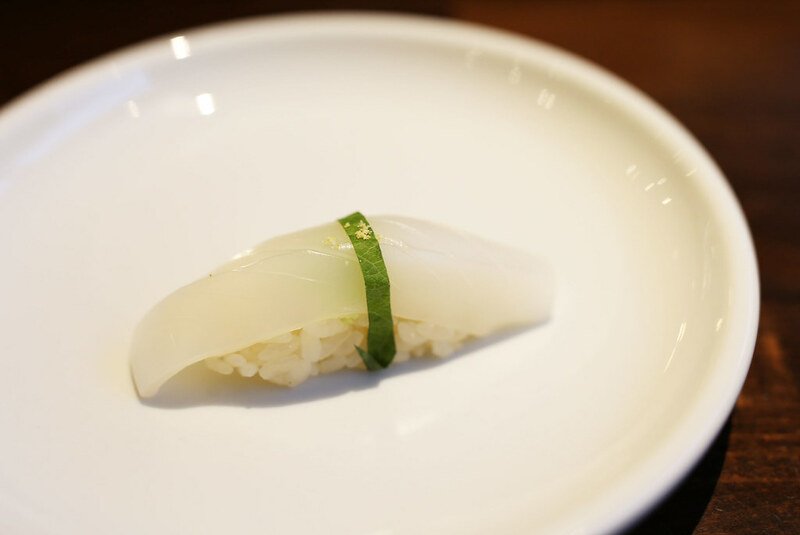 Lighter sushi includes flounder, sea bream, and squid. 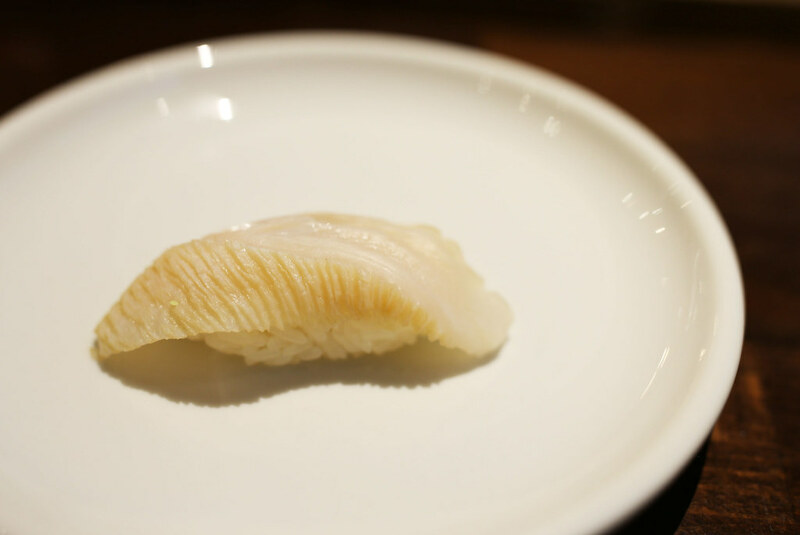 And then you can move on to mild white fish, such as shiira (mahi mahi) or izumidai (red snapper), followed by silver fish, such as sanma (Pacific saury), sawara (Spanish mackerel), and sayori (Japanese halfbeak). Then let's move onto red fish, which is akami (lean part of tuna) and sake (salmon). Heavier sushi includes ikura (salmon roe), and toro (tuna belly), shellfish, uni, anago, and unagi. Maki roll and Tamagoyaki are the usuals to end your omakase meal. Mirugai (Giant clam) from Washington looks beautiful with its natural muscle patterns. It is a bit chewy and very slight crunchiness in texture. Sayori (Japanese halfbeak) topped with grated ginger and chopped scallions looks very appetizing! While silver fish usually has a more fishy taste, the toppings really do its job in balancing this piece. Topped with a bit of jalapeno sauce, the piece is one of my favorites. I personally don't prefer spicy food, but this piece is quite balanced with the richness of tuna, wasabi, and seasoned sushi rice. I love it! 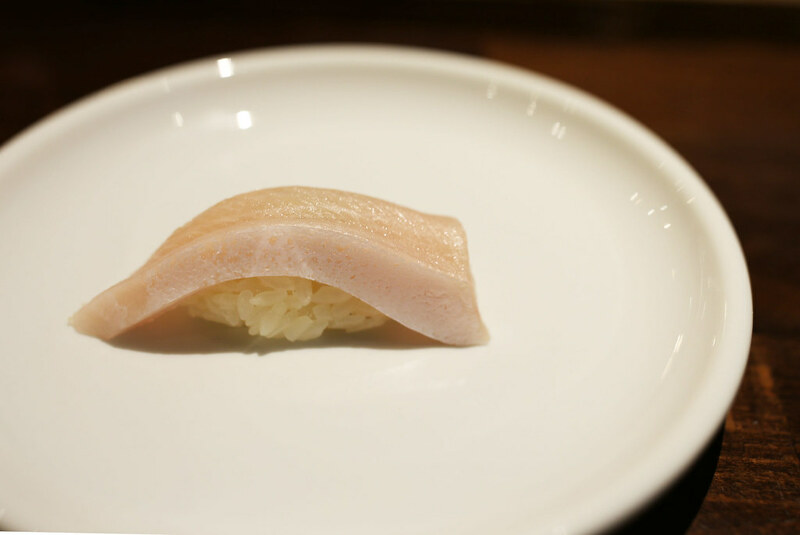 Hamachi Toro (Yellowtail Belly) is obviously a lot more richer than your usual hamachi fish. It is a simple piece so that you can enjoy its natural richness. As a shrimp lover, Amaebi (deep water sweet shrimp) is another of my favorite piece! I love the unique texture, soft but not mushy. It is sweet and you can taste its savory sea flavor. 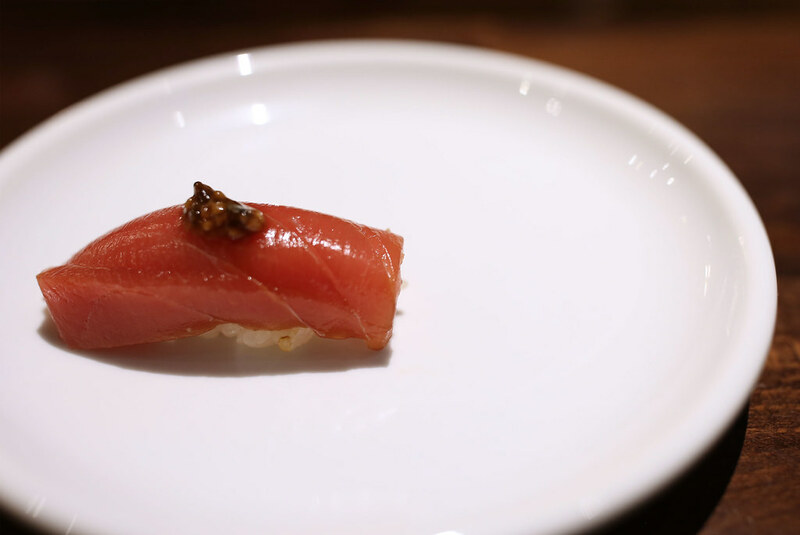 It might look like a thin slice of O-toro (fattiest part of Bluefin tuna) but I actually love the way it's thinner because they tend to make me feel too overwhelmed by its fattiness. I like this portion and it tastes delicious and balanced with rice and wasabi. 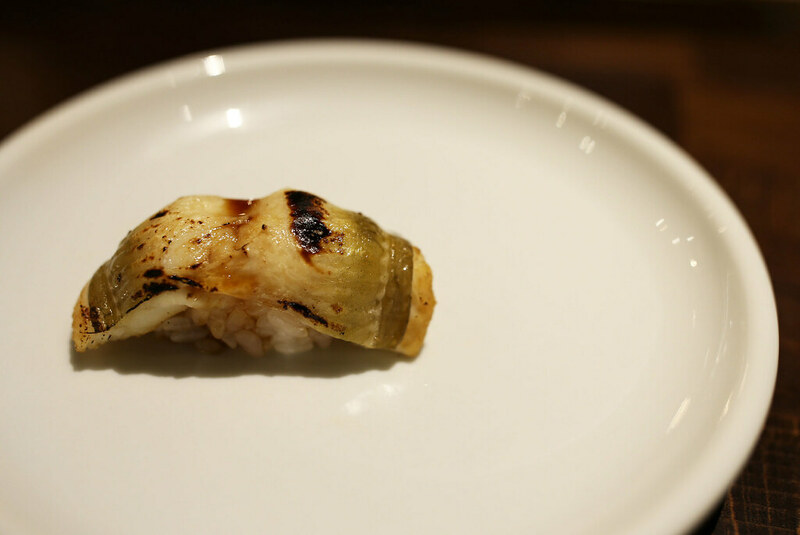 Anago (sea eel) is usually served warm or a little bit hot from the lightly grilled process. It might not be the best piece because everything was served in one platter. It's quite hard to catch the best time to eat Anago in this setting, especially it is considered heavier flavored sushi. 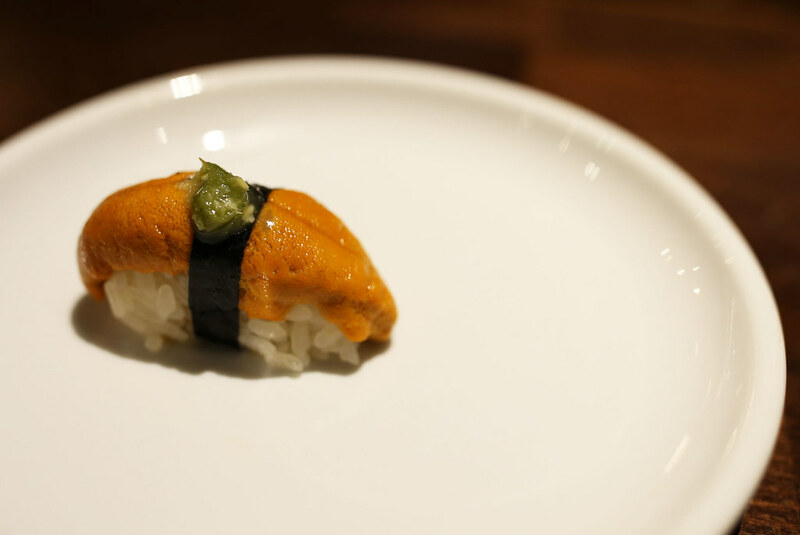 The Uni (sea urchin) I had was actually from Santa Barbara. It has a bright and vibrant orange color! It is sweet, creamy, and melts in my mouth. 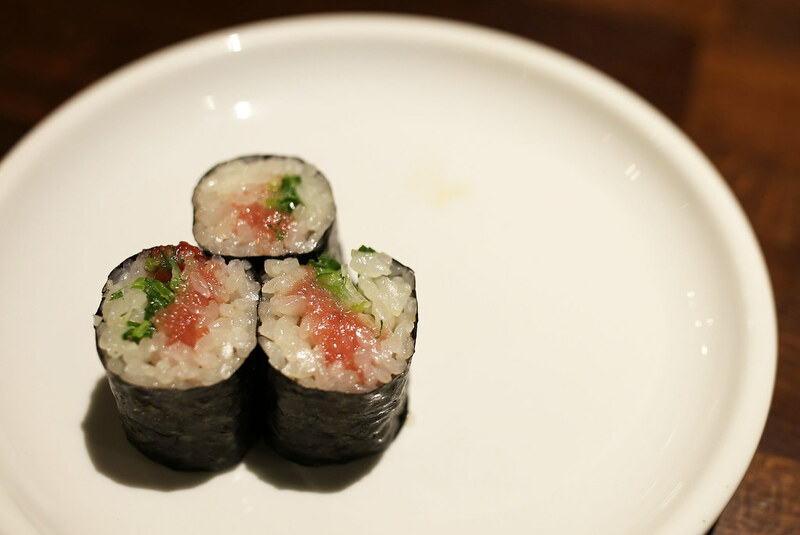 Chu-Toro Tuna and scallions Maki Roll looks really nice with their contrasting colors. They are delicious bites towards the end of the meal. 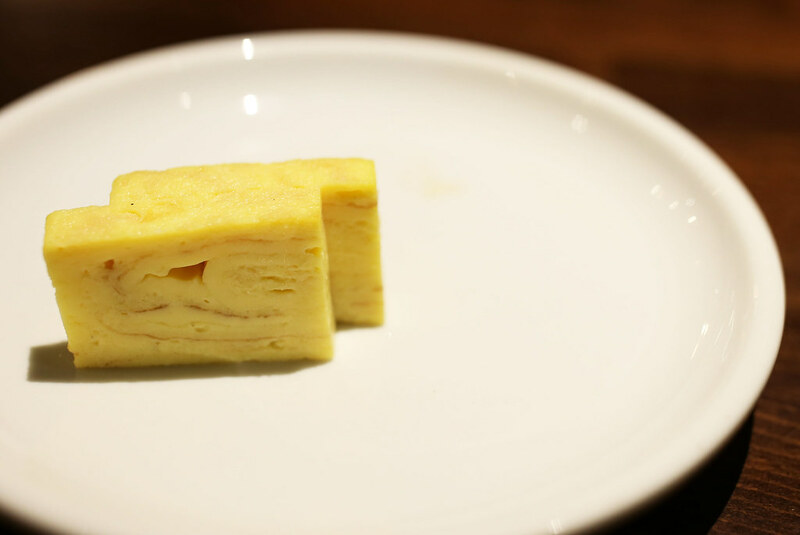 Finally, there is Tamagoyaki (egg omelet) to end this Omakase meal. It is not too sweet nor salty. I've always loved the dashi flavor from Tamagoyaki. Shinji Uehara was the head chef for the night. 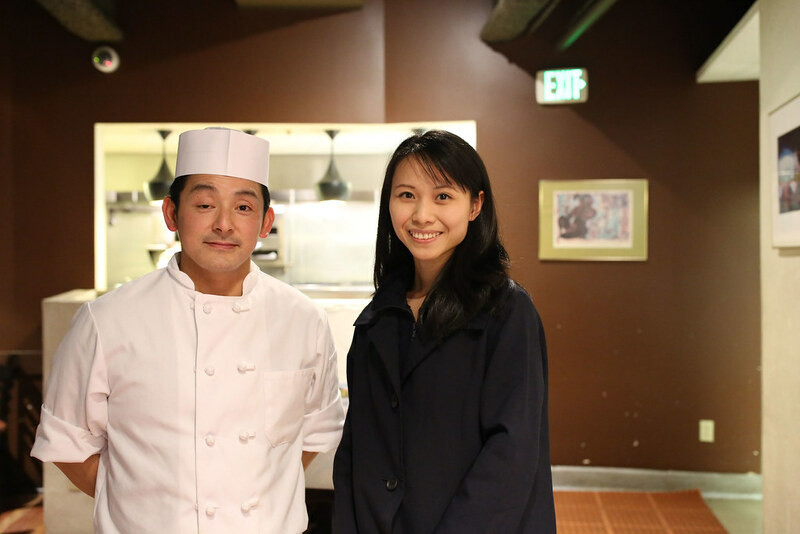 Uehara-san was extremely detail-oriented and serious about his food. He always smiles and was excited to answer questions from customers. It was a nice Omakase meal that exceeded my expectation. Their ingredients are fresh and in high quality. Appetizers were creative and well balanced. 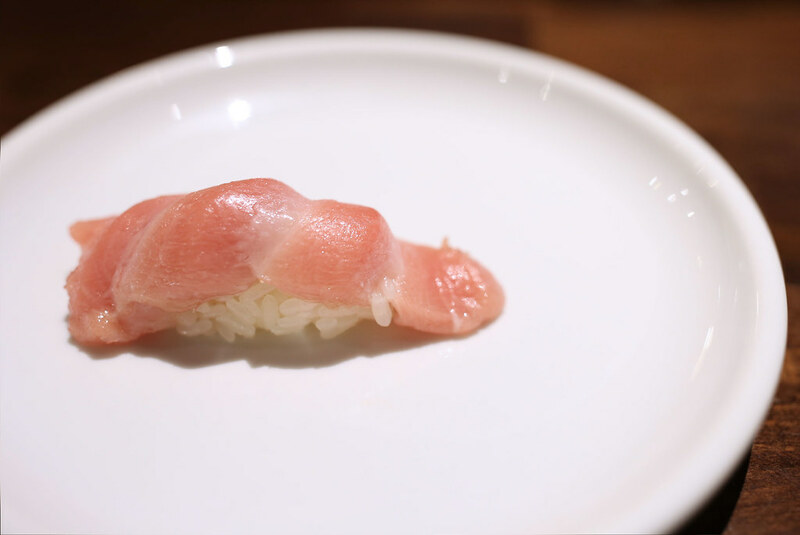 The nigiri sushi was delicious with beautiful toppings that pair nicely with each fish's unique flavor and texture. 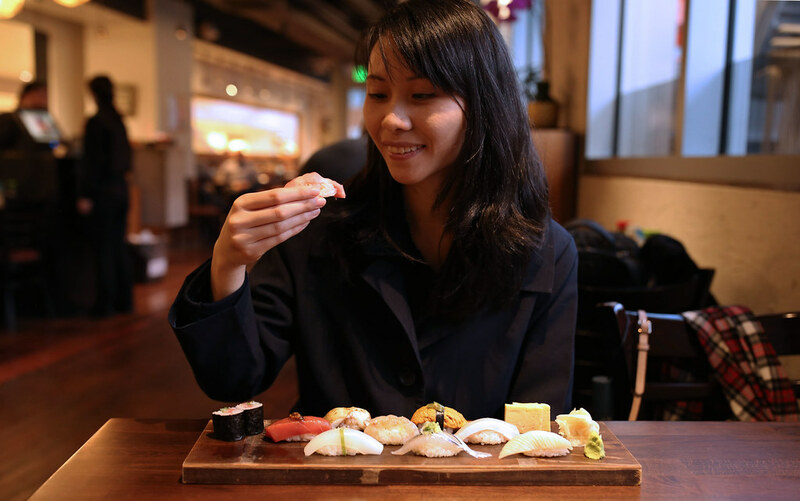 Sanraku at Metreon is also a great spot for catching up with friends and family. 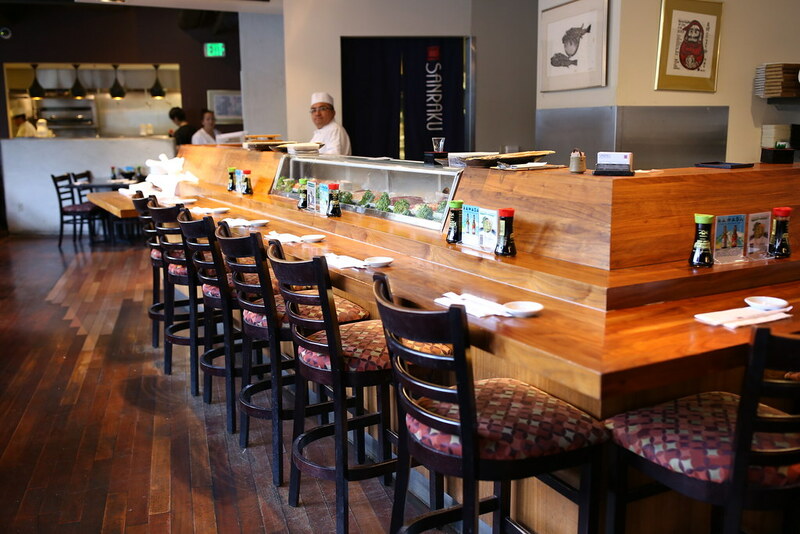 I love the restaurant atmosphere, their friendly staffs, and delicious sushi! Location was perfect with lots of transportation options and cool things to do around San Francisco Downtown area. So glad that there are still people in the world who care for good food. I love reading all your recipes, watch your blog and try them myself. Looking forward for new great recipes! Thank you for sharing them all with us.